For the first time in more than a decade, an education lottery is being seriously discussed for Alabama. After the defeat of Governor Siegelman's education lottery proposal in 1999, the lottery faded as a “bad bet” for the state's politicians. Until now. Our Democratic candidate for Governor, Ron Sparks, has made an education lottery a centerpiece of his campaign, promising to use the money to fund education scholarships and pre-K education. While there is certainly truth in the charge that fundamentalist and evangelical protestant churches lobbied vigorously with ministers providing direction from the pulpit for their congregants to vote against the lottery, there is also sufficient evidence that such persons were never strongly in favor of the lottery in significant numbers to begin with. While ethical concerns might have chipped away at the governor's own base, again, they probably were not needed to convince the fundamentalists. Thus it is unlikely that many strong evangelicals and fundamentalists would have voted for the lottery anyway. What shifted, as is so often the case with ballot measures, were the “moderates” on the issue. Ethical considerations about who plays the lottery, how much lottery funds would help improve education in the state, whether the proposal itself was a solid and well-written piece of legislation, all were of concern to moderates who were among those who generally do not feel lotteries are immoral. Thus “morals,” as typically defined, probably did not hold sway so much as did relevant policy concerns. 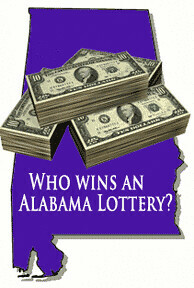 Supporters of the lottery in general and in the Alabama Legislature in particular should take this to heart. On the surface, an “education lottery” sounds like a dandy idea, but the devil is always, always in the details. This week we've looked at some of those details (Read Part 1, Part 2, and Part 3, and Part 4) and examined other states' lotteries, how they're run, how they're marketed, who plays, and how benefits. As part of this process – I think – we've found both strengths and weaknesses in the programs and we can hopefully learn from this. If Alabama is to have an education lottery, we owe it to ourselves and our children to make it the nation's best. As such, I offer these 8 suggestions for lottery operations and scope. Feel free to add your suggestions in the comments! An education lottery should fund education initiatives not already provided by the state. That would make it clear to voters that the lottery will increase funding in real terms – no shell games. Lottery money should be locked away from the Governor and Legislature's greedy little paws lest we share the problems of other states where lottery money was diverted to other uses. For instance, Tennessee took $160 million from its reserve fund to makes public schools more energy efficient. Gov. Bev Perdue hit an $88 million lottery jackpot last week, and all it cost was the state's integrity. The governor had a compelling reason to move that much money from lottery accounts to the state's general fund. Nevertheless, her action contradicts the 2005 lottery law and breaks faith with the public. The lottery was established to raise money for public education. It's written into law. Shifting proceeds to the general fund makes them available to spend for any purpose. Perdue ordered the transfer of $50 million from the lottery reserve fund, leaving it empty. She took an additional $38 million intended for allocation to counties for school construction. Leading lottery supporters aren't even protesting. They must have known all along this was bound to happen. Given Alabama's perennial funding problems, I could see this happening unless we have a strongly worded, clear lottery bill. Lotteries were first outlawed in the late 19th century because of problems with corruption. Modern lotteries haven't been immune. In 2008, for example, a Louisiana store clerk was charged with stealing a customer’s winning ticket worth $800,000. In 2008 and 2009 the California Lottery conducted undercover sting operations where agents posing as customers presented decoy winning tickets to clerks. Some clerks paid out only a fraction of the prize money, while some said the tickets were not winners and went on to claim the prize money for themselves. The stings led to the arrests of at least ten individuals working at lottery retail outlets. […] The store owner and the store clerk, both from northwest Iowa, have also claimed other Lottery prizes. The store owner (and her husband) have claimed 16 prizes since 1991 for a total of $263,501; 11 of their claims have occurred since 2004. The store clerk alone claimed eight prizes for $266,000 in less than one year’s time. In all, we found nine retailers and store employees who have claimed five or more high tier prizes. At least four of those nine claimed additional prizes in late 2008 or early 2009. This includes a northern Iowa retailer who has claimed 67 prizes over the past several years for a total of $100,626. In 2001 the California lottery was sued for continuing to sell scratch-game tickets after the top prizes had been awarded. In other words, people bought scratch-game tickets not knowing that there was no chance for them to win the most valuable prizes. In January 2002 California lottery officials apologized for their actions and promised to stop selling instant-win tickets in the future after the top prizes were awarded. The state also set up a second-chance drawing for people holding losing scratch tickets from the earlier promotion. Alabama must avoid situations like this and ensure that all lottery operations are transparent to public and legislative oversight. No backroom or sweetheart deals. New Hampshire should be a model for us. Information about its lottery is easy to find, easy to understand, and laid out clearly and completely in single documents to make it easy to spot trends and pull data. Compare this to some other state lottery documents that only offer online reports for the current and previous year, hide content in PDF documents, and break up reports into multiple PDFs, making it almost impossible to easily compile and study data. Alabama's track record on this is not good to say the least. Try digging out higher education budget information or information about PACT board meetings sometime. A transparent lottery operation could be a model for other Alabama state agencies. Yes, I'm an optimist! New York's lottery showed a mother making fun her daughter because the child was studying hard to earn a scholarship. The mom waves a lottery ticket in front of the child and says she has it taken care of it. Other states limit the amounts the lottery management can spend on advertising (how states allocate funds). But still, fewer than 20% of lottery ads clearly state the odds of winning. State lotteries are exempt from the Federal Trade Commission's truth-in-advertising standards and many states have taken that advantage and used it to bilk the poor, the old, and the uneducated with misleading ads that tout the benefits of winning while ignoring the fact that a person is approximately 7 times more likely to be struck by lightning than win a multi-million jackpot in a state lottery. State the odds in type large enough to read in print ads and clearly and slowly say the odds in TV and radio ads (none of that rapid, “car dealer speak” at the end of ads). Avoid phrases like “everybody is a winner” because it's just, well. A LIE. Limit how much is spent on advertising and avoid advertising targeted to Alabama's poorest residents. Read Thursday's post – “Welfare for the Rich?” – to learn more about who actually benefits from education scholarship lotteries. The numbers are discouraging to those who thought the scholarships would help lower income and first generation students attend college. Tennessee' state education lottery though, provides us with a good starting point. Tennessee offers merit-based scholarships to all students who qualify but then further supplements grants for low-income students. In addition, Tennessee has more flexible standards for students. Officials have managed to double the expected percentage of African American students receiving scholarships. We need to be more like Tennessee and less like Georgia and Florida. Use lottery revenues to provide grants for college preparation programs to high schools with low rates of college attendance. Lottery revenues should be used to help students from disadvantaged backgrounds prepare for successful college attendance. These programs can help students qualify for lottery-funded merit scholarships. Alabama's high school graduation rate is approximately 65%. In 2002, graduation rates for black and Latino students were 52% and 33% respectively. Unless we adequately prepare these kids before college, merit-based education scholarships will provide little benefit to the kids who need help the most. Lottery proponents have been mum on exactly how much the scholarships would be worth. Ron Sparks has told LIA during interviews that it won't be a full-tuition scholarship, but would “be more than we have now.” Which is certainly true. I would like to refund the PACT, to be perfectly honest with you. I think it's time we passed the lottery and gave every child in Alabama hope for a better scholarship in Alabama. And I believe it's time to do it. You got to look at the state of Florida. They give $20 billion to education. The state of Georgia gives 1.2 million scholarships to their children in Georgia. Just not long ago, they came out and said they educated their millionth child in pre-K. In the state of Tennessee, 85,000 children get pre-K. In Alabama, 3,800 do. I think it's time we step forward, pass the lottery. Students shouldn't have to have a large loan the day they graduate from college to try to pay back. It's our responsibility to try to help those students with scholarships like surrounding states. Now, PACT contract holders purchased pre-paid contracts for full-tuition. If we're talking about refunding them and replacing them with LifeStart scholarships, that implies “full-tuition” or close to it. That would be lovely. Except that even Sparks agrees the numbers just aren't there to support it. We shouldn't over-sell and over-promise the benefits lest we have the problems of other states. Florida and Georgia have changed their programs multiple times – first ramping up scholarship awards and eliminating income caps. And now, facing huge shortfalls, they're scaling back. Tennessee annually decides scholarship award amounts based on revenues, which allows for more stable funding. Gov. Beebe also believes lawmakers should base their calculations on a conservative projection of $100 million in annual net lottery proceeds, rather than state Lottery Director Ernie Passailaigue’s projection of $112 million, Jordan-Cox said. “This all grows out of his direct experience in the Senate when they ran out of money” for the Arkansas Academic Challenge Scholarship in 2002, DeCample said. We have to be honest with voters about the benefits students will receive. And be mindful that state lotteries are generally wildly successful in the early years, but then revenues flatten or even fall. The early years are the time to build up reserves – money that the Legislature can't touch for any other purpose – and should not be used to over-promise benefits for later years. Ask the PACT program administrators what rising tuition costs to a seemingly large pot of money over time. Or ask Georgia HOPE Scholarship officials or anyone operating similar programs. Double-digit tuition increases slap students around and they also quickly drain scholarship coffers. Dr. Joe McCormick, Executive Director, KHEAA, spoke in support of fully funding the scholarship program without total reliance upon lottery proceeds. He said Kentucky will keep falling short if only lottery proceeds are relied upon to fund KEES. This isn't a battle Alabama wants to have. The titanic struggle between the General Fund, the Education Trust Fund, higher ed, and college students would make this year's PACT battles look like a kindergarten class water balloon fight. Without a doubt, rising college costs are not an issue that can be addressed by a scholarship lottery. Some worry that additional scholarship money will make it even more tempting for colleges to raise tuition. But unless we can figure out how to raise K-12 student performance and control tuition costs, college will remain elusive for many Alabama students – scholarships or not. It would be nice if all the lawmakers who will write a lottery bill, or vote on it, could do the research you have done to get smart about lotteries. Here's hoping some of them will at least read your recommendations. Given everything you have turned up — which has far exceeded my worst fears about how regressive a lottery tax can be — I wonder if college scholarships are even the best use of the money. We all know that not all kids go to college, not all kids need to go to college, and all too many of those who start college drop out without a degree. Because of that, a scholarship program will always benefit a relatively small number of kids. On the other hand, plowing the money into a pre-k program, or the underfunded Math, Science & Technology Initiative or to expand the nationally acclaimed Alabama Reading Initiative might be a better idea. Those initiatives would benefit all children, no matter the education level, income or race of their parents, and make them more prepared to take advantage of a college education. And if the consensus ends up being that college scholarships are the way to go, they definitely should be based on needs. I don't want to see the Democratic base subject to a lottery tax — or even subjecting themselves to it — just so wealthier parents can get help sending their kids to college. A program focussed on lower levels like pre-k or reading (that's a bedrock skill these days) or basic math would divide the lottery proceeds more fairly and perhaps prepare more young people to stay in school. ok guys, I can tell from server stats that a lot of people have read this series. But so little feedback or comments? I'm thinking back to that ugly Sparks press release in the spring that alleged we plagariazed our posts because “face it, no blogger has that kind of time” to do actual research. I've spent 20+ hours researching these posts (some of those #$%# academic PDF papers were 50+ pages!) and a minimum of 3 hours/day writing each post this week. Is it not worth the time? Surely this is useful information: if you want a lottery in Alabama, then surely you want a lottery that works and benefits needy kids – not a giveaway to contributors or the product of some backroom deal. If we do it, we have to do it right and we need to know what's working in other states and what isn't. for this series. Absolutely brilliant research, analysis, and commentary which ought to be required reading for every opponent and proponent of the lottery. I am awed. This would constitute a Master's thesis. When Sparks puts together a gaming commission, you would be my first choice to be the one in charge. It's not a fix-all but every little bit helps these days. If it passes, which is a huge if. I'm not much of a gambler, but I do make the short trip up to Tennessee every once in a while. I usually pick 5 Powerball number sets and 3 $2 scratchoffs. That will do it for me. Every once in a while I win a few bucks, but not nearly enough to cover what I have spent over the years. I have no problem with having a bit of modest enjoyment playing the lottery while helping the students of Tennessee. When I go back home to visit South Carolina I always buy tickets there and I generally do at some point when I'm passing through Georgia. Alabama should have passed a lottery years ago, but I do happen to be pessimistic about our legislature's ability to do the right thing and make sure that this will be a total set aside for education. Don't even get me started on the cost of tuition at all levels! My thanks for taking the time and effort to lay out the pluses and minuses so clearly. The object of the lottery would be to create a pool of money to pay for future college tuition. Considering what has happened with the PACT program and what we see happening to the Oil and Gas Trust Fund – can we really trust our present leaders and politicans with such a fund? This is simply an incredible series. Every voter should read it, and every lawmaker should be mandated to read it.